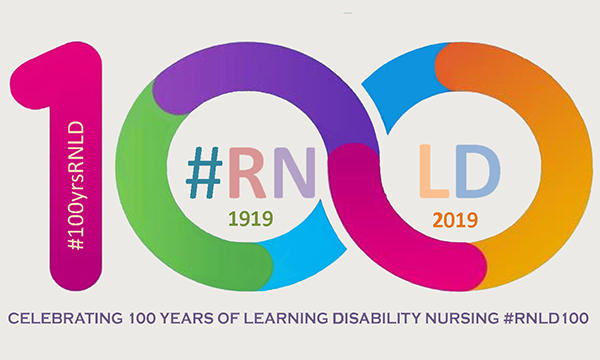 What can we learn from the first 100 years of learning disability nursing and should there be cause for celebration? 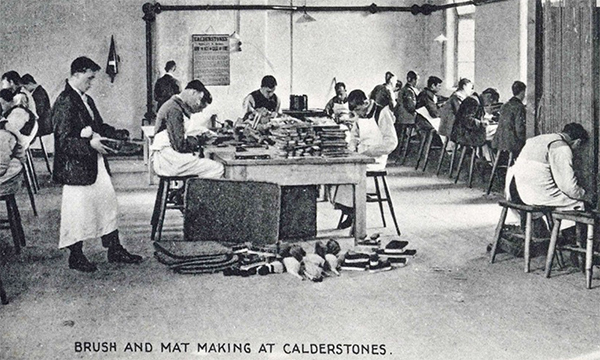 Brush making and mat making at Calderstones Hospital, Lancashire, probably late 1920s. The UK’s first learning disability nurses were registered as mental deficiency nurses in 1919. This term was used until after the second world war when it was replaced by mental subnormality nursing and then renamed mental handicap nursing in the 1970s. Learning disability nursing became the accepted term in the 1990s. In 1919 the first national certificate for what was then known as mental deficiency nursing was awarded by the national body for psychiatrists the Medico-Psychological Association (MPA). There were nurses who received certificates before this, but they were the standard asylum nurse certificates for those working with people confined in the many asylums built throughout the 19th century. Most of the asylums had a broad range of people, and all would have included some who had learning disabilities. The MPA anticipated an expansion of the workforce as a result of the Mental Deficiency Act 1913 which required local authorities to identify people described as mentally deficient and provide for those who could not care for themselves. The act set up the apparatus for the compulsory and permanent segregation of the feeble-minded (Thomson 1998) and led gradually to the building of the large institutions that were a provision for people with learning disabilities and other groups for much of the 20th century. Psychiatrists maintained their control of most mental deficiency nurse training, despite the establishment of the General Nursing Council (GNC) register in 1921 and the introduction of examinations for mental deficiency nurses in 1926. This did not change until the early 1950s when the GNC took control of all nursing education, and the newly introduced NHS had taken over running the large institutions. In this respect, the NHS confirmed the existence of learning disability nurses as nurses rather than an alternative occupational group in education or social care. Before this, many nurses, particularly men, were known as attendants. Until the 1980s the history of learning disability nursing is gathered from the institutions themselves. Registration began because psychiatrists wanted to improve the training of nurses, and the institutions formalised nurse training with a career structure similar to general hospital nurses. 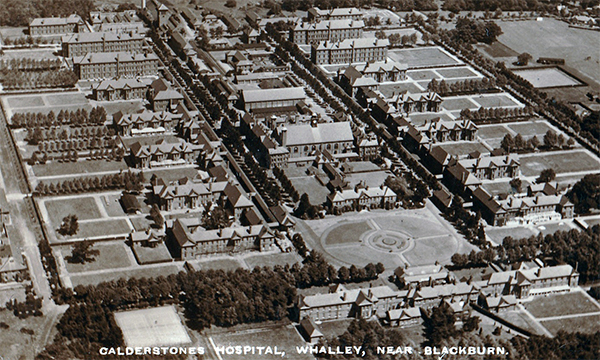 Aerial view of Calderstones Hospital, probably taken in the 1960s. 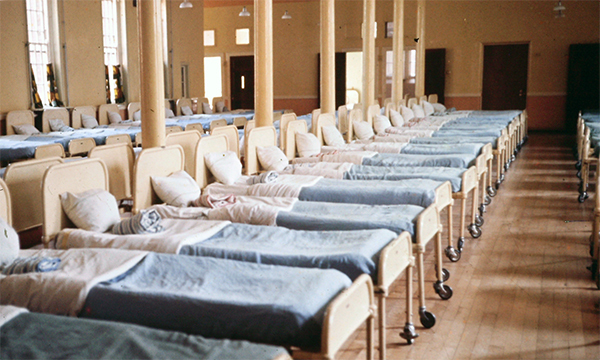 While there is evidence suggesting that nurses worked with people with learning disabilities outside of the hospitals (Morris 1969) it is not clear whether these were specialist nurses or those with a general training who had moved to the specialism – their status as nurses was, in most cases, incidental to their posts. The best possible light in which to see learning disability nursing is that its past is mixed with good and bad. It is clear from the vast amount of personal accounts that the large institutions were part of an oppressive system that sought to control the lives of people with learning disabilities. We cannot escape the fact that learning disability nurses were the main workforce in the institutions and responsible for the management of many of them, so are surely part of the dark side of their history. However, there are also many accounts of the kindness and skill of nurses who were thoughtful and supportive of the people in their care. Oswin's study of children in long stay hospitals, collates contemporary interviews with nurses on the different approaches to their work – from authoritarian to enabling people (Oswin 1971). It is also clear that many people with learning disabilities who went to the institutions left behind lives of considerable poverty for an ordered environment where they were clothed, warm and reasonably well fed, so for some people institutional living was a ‘safe haven from poverty and discrimination’ (Borsay 2005). Learning disability institutions can only be understood if they are seen in the broader social movement towards segregation within institutions (Thomson 1998). There were many other institutions such as orphanages, mother and baby homes, epileptic colonies, mental asylums and workhouses. Institutionalisation was seen as the answer to many of society’s problems and there was nothing peculiar about learning disability in this respect. History presents a mixed picture aabout the closure of the institutions, with some nurses resisting their shutdown, while others were at the forefront of the resettlement programmes and new ordinary living schemes, which speeded up their eventual demise. This was dependent on how resettlement schemes were managed, with some ignoring the input from nurses and others successfully using them (Brend 2008). The truly remarkable aspect of the history of learning disability has been the post-institutional history since the early 1980s. It was widely expected that learning disability nursing would be phased out as the institutions closed. However, in 1972 the Briggs report suggested that a new professional grouping was needed to care for people with mental handicap (Briggs 1972) and the Jay report (1979) argued that mental handicap nursing be phased out and replaced with an alternative professional group based on social care. Learning disability nurses have also flourished in many other roles such as working in hospital liaison, as behaviour specialists, management or in the community. So there is much to celebrate in terms of the survival of the profession. There are many areas for research. Several large studies have been funded by the Heritage Lottery Fund including histories of Calderstones and Brockhall institutions and six hospitals across Wales. Other long-stay institutions have also recorded their histories on websites, for example the Leavesden hospital, a former institution. A steady stream of academic papers and books have been published about the institutions, and a smaller number about those with learning disabilities who did not live in institutions (Rolph et al 2005). Rolph et al's evidence provides an important account of history with oral testimony and documentary evidence providing a much clearer picture of the past. While the history of the institutions and their closure has been closely examined, there is less research on the activities of nurses working in community settings at the time of the closures. There is still work to be done on the activities of the early community learning disability nurses as well as the different models of care that they worked in. There is also relatively little information about the leaders and influencers in learning disability nursing: who were they and what was their contribution? How can studying learning disability nursing's history help in its future? First, an understanding of the growth of large institutions reveals that institutions tend on a life of their own and that their survival and growth becomes an end in itself (Walmsley 2005). What starts as a small building for a small number of people can easily grow to a disproportionate size, making it harder to shut down. Second, history helps us to identify a professional body of work, which can be used to inform practice and learning. Important texts written by learning disability nurses or about learning disability nursing can be identified and updated to build a collective knowledge about what works and what doesn't. Finally, history helps us to see things in perspective. There is often horror at the thought of large institutions and how they segregated so many people, but how will the next generation look back on nursing today? Jay P (1979) Report of the Committee of Enquiry into Mental Handicap Nursing and Care. Command. 7468-I. Morris P (1969) Put Away: A Sociological Study of Institutions for the Mentally Retarded. Atherton Press, New York NY. Oswin M (1971) The Empty Hours. The Penguin Press, London. Rolph P, Atkinson D, Nind M et al (2005) Witnesses to Change: Families, Learning Difficulties and History. BILD Publications, Kidderminster. Thomson M (1998) The Problem of Mental Deficiency: Eugenics, Democracy, and Social Policy in Britain, c.1870-1959. Clarendon Press, Oxford. Walmsley J (2005) Institutionalization: a historical perspective. In Johnson K, Traustadottir R (2005) Deinstitutionalisation and People with Intellectual Disabilities In and Out of Institutions. Jessica Kingsley Publishers, London.